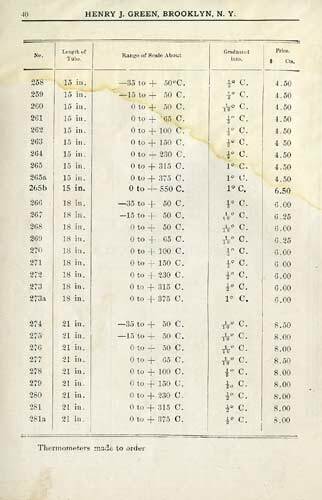 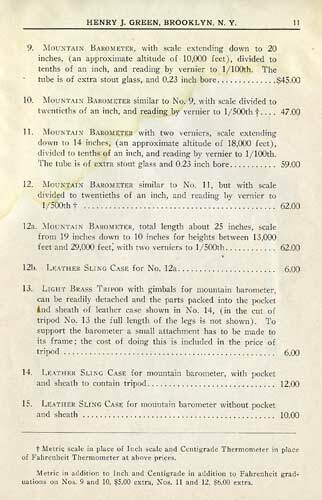 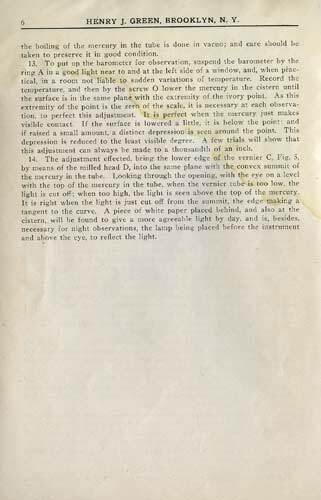 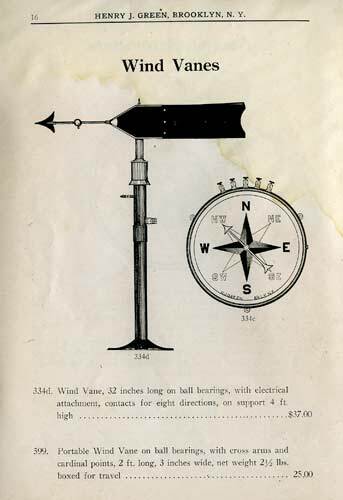 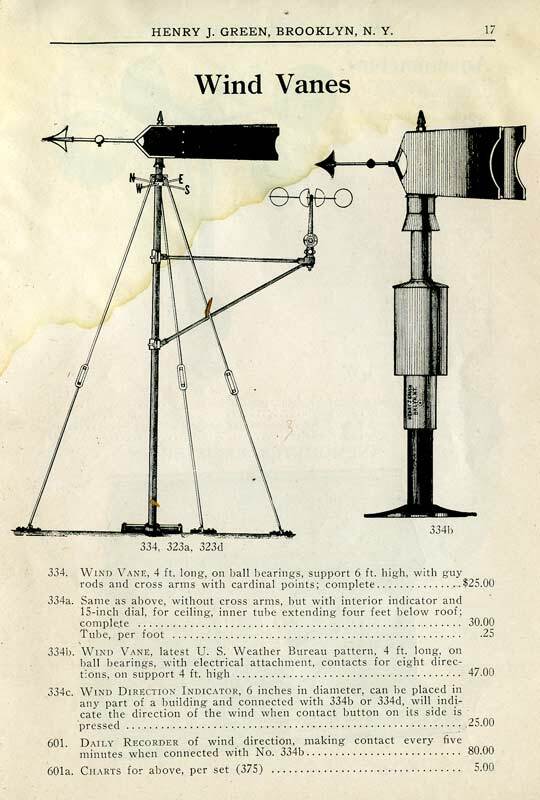 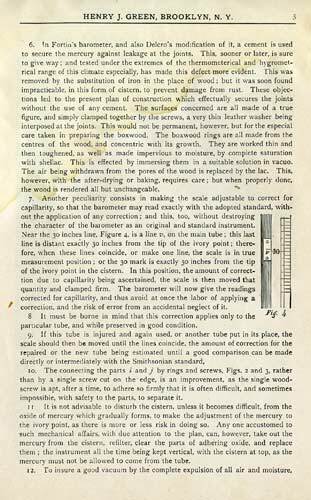 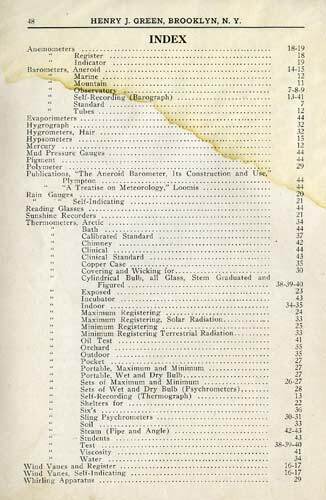 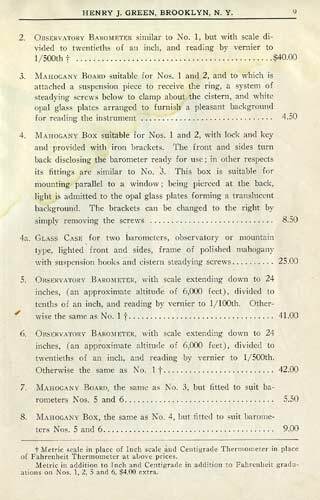 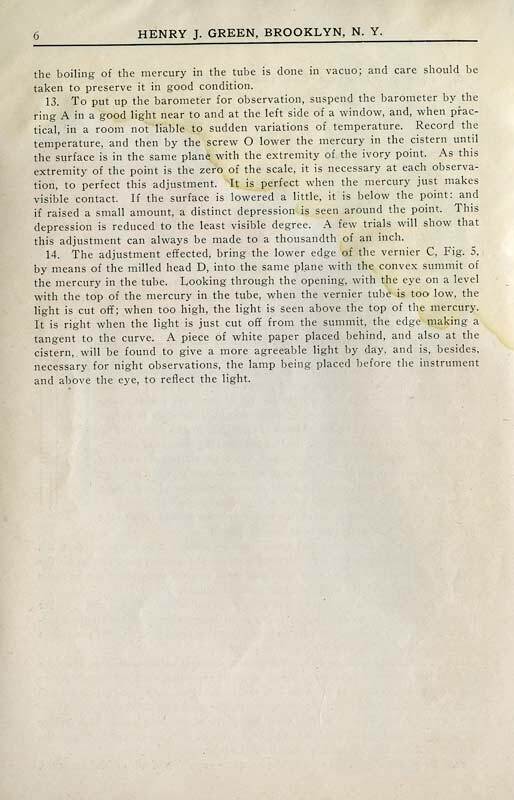 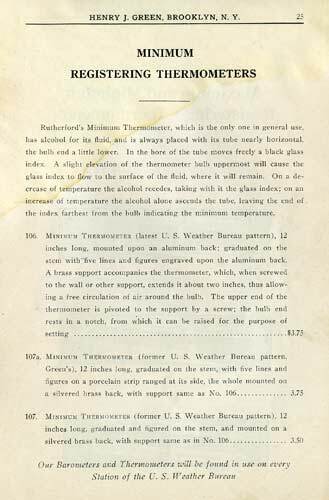 The catalogue is undated, but contains a reference to a paper published in 1896, and also mentions various aviation topics, including the Aero Club of America (founded 1905) . 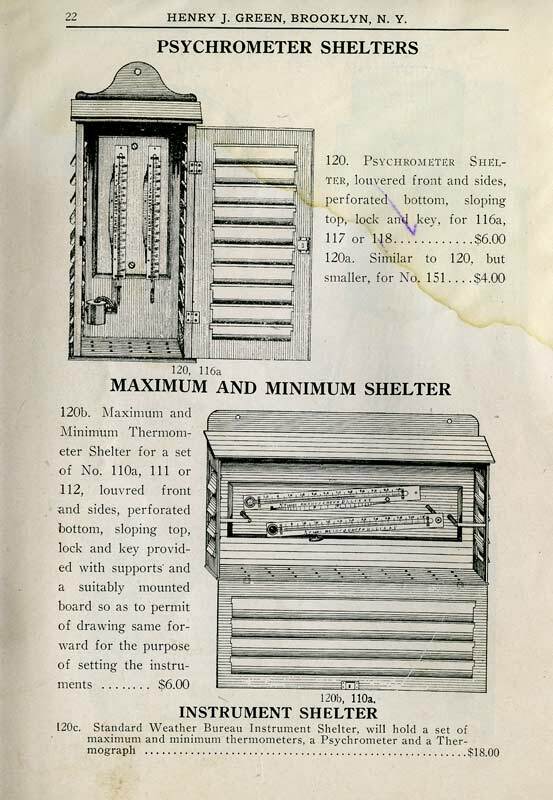 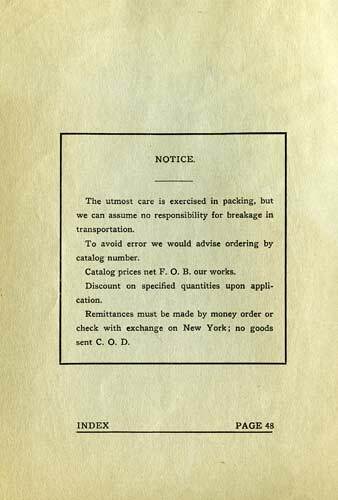 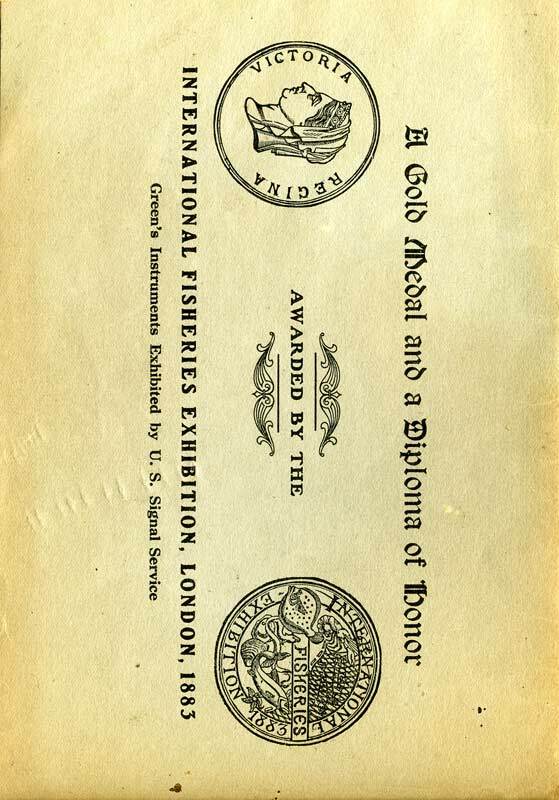 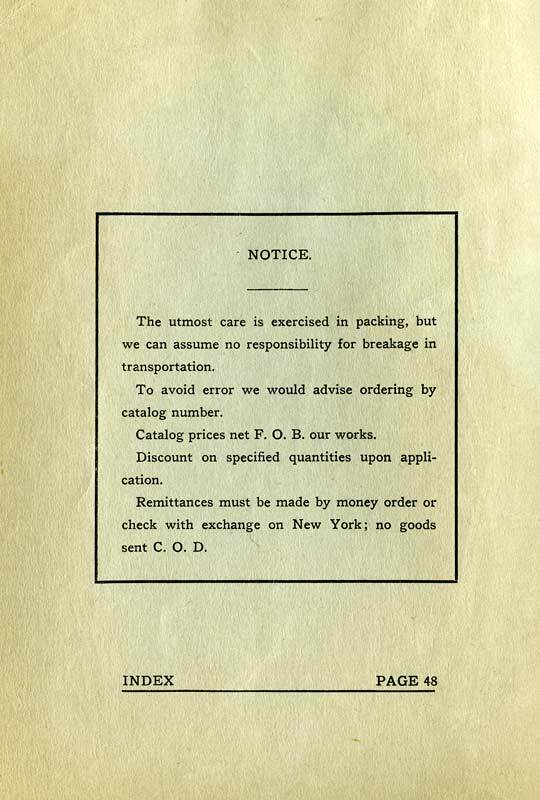 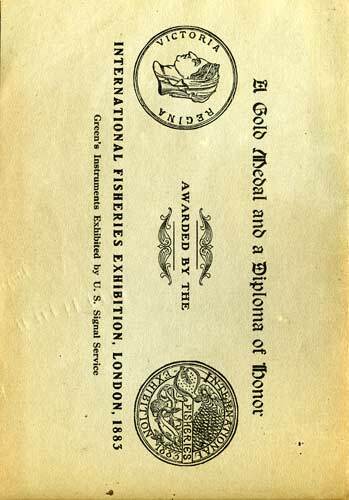 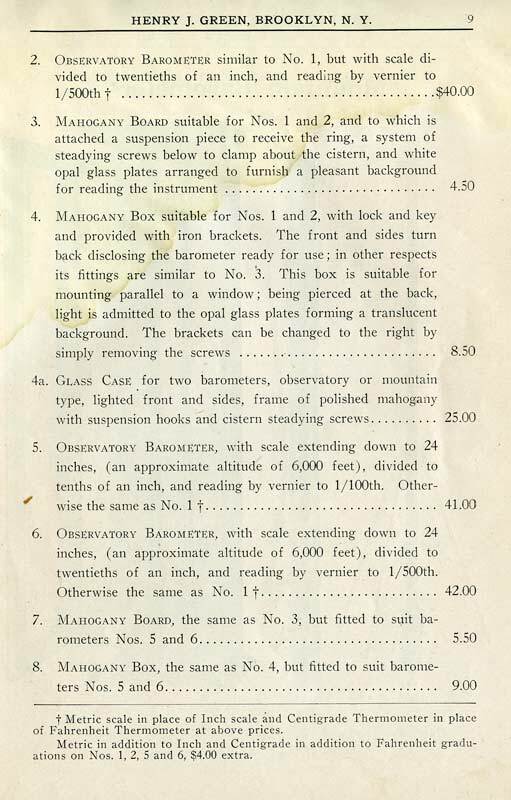 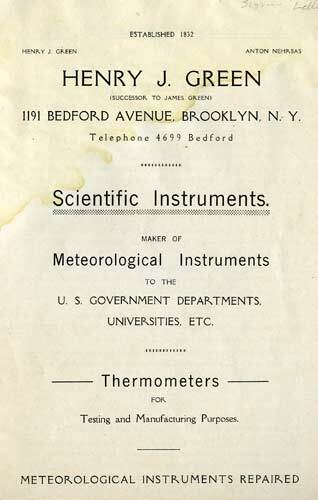 Correspondence accompanying the catalogue is dated 1918, so it is probably dates from 1910-1915. 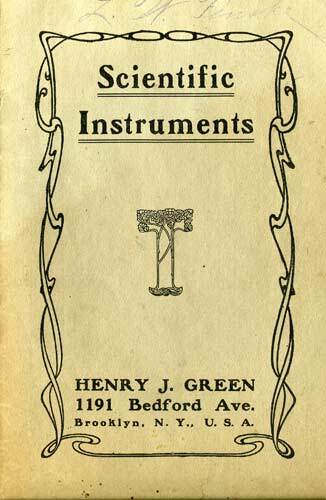 Henry J. 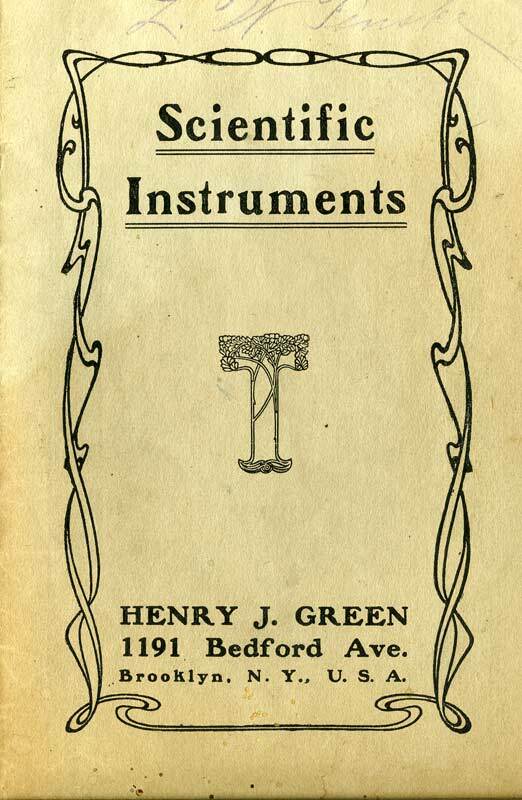 Green was the nephew of and successor to instrument maker James Green, who was described by W. E. Knowles Middleton in his book The History of the Barometer as a "... remarkable instrument maker, born in England, established a business in Baltimore in 1832 ... and in 1864 took as an apprentice his 16-year-old nephew, Henry J. 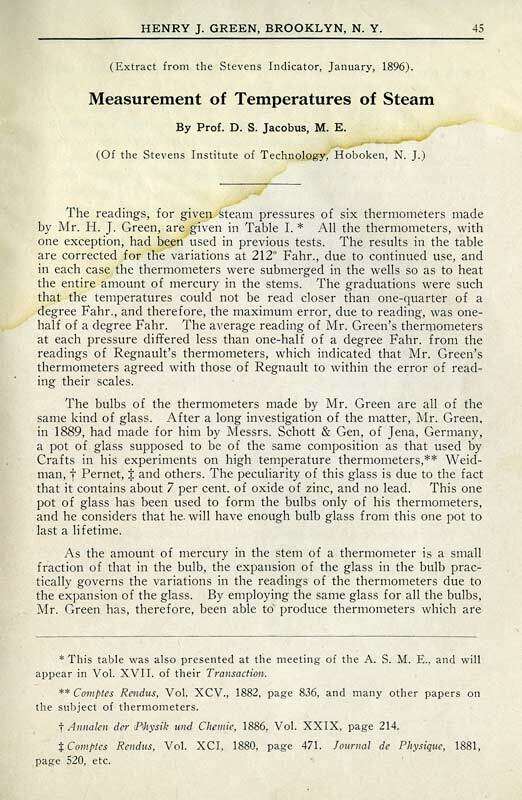 Green, who became his partner in 1879. 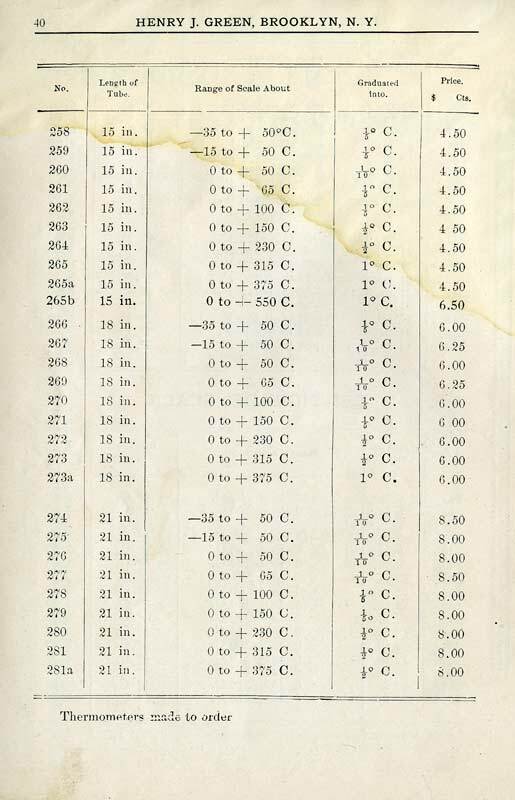 When James retired in 1885, the name of the firm was changed to Henry J. 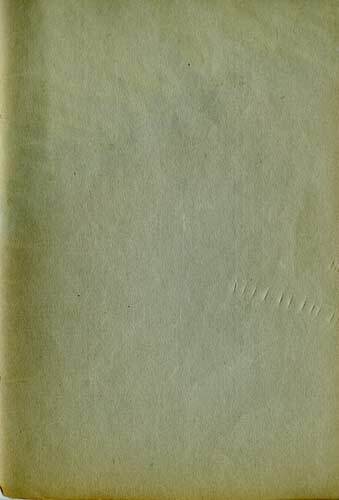 Green ... 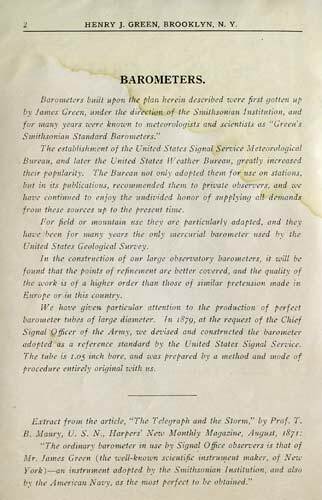 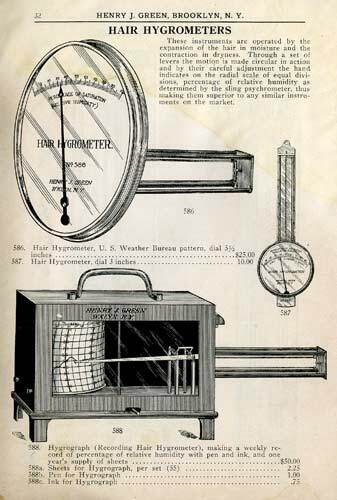 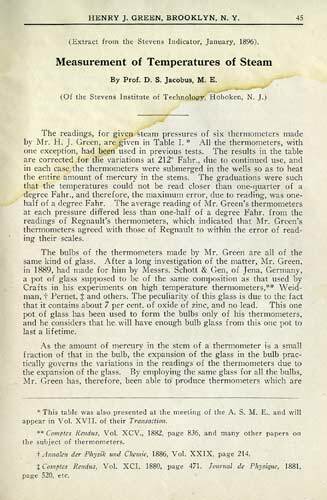 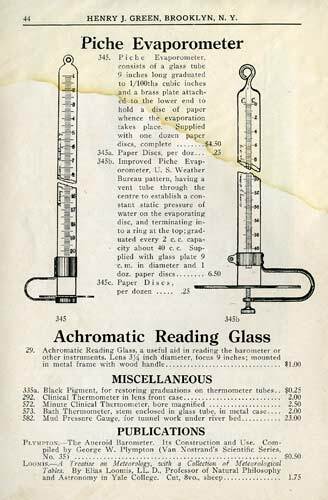 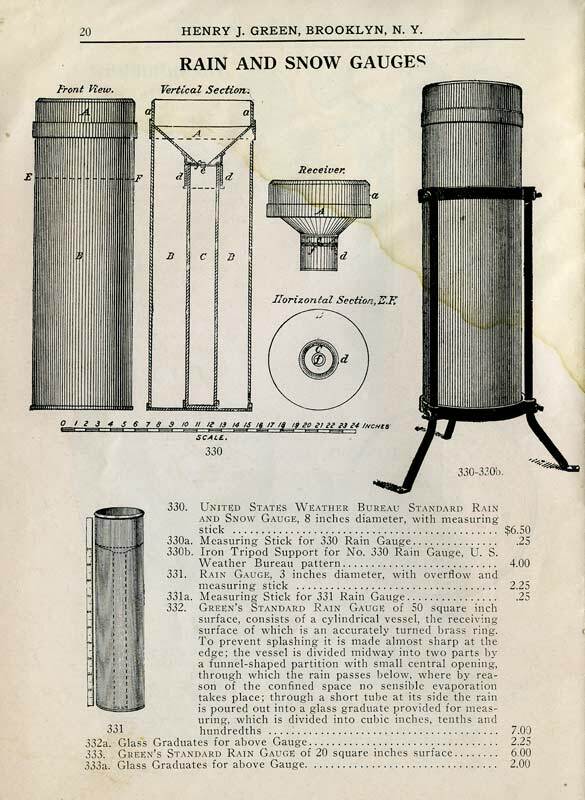 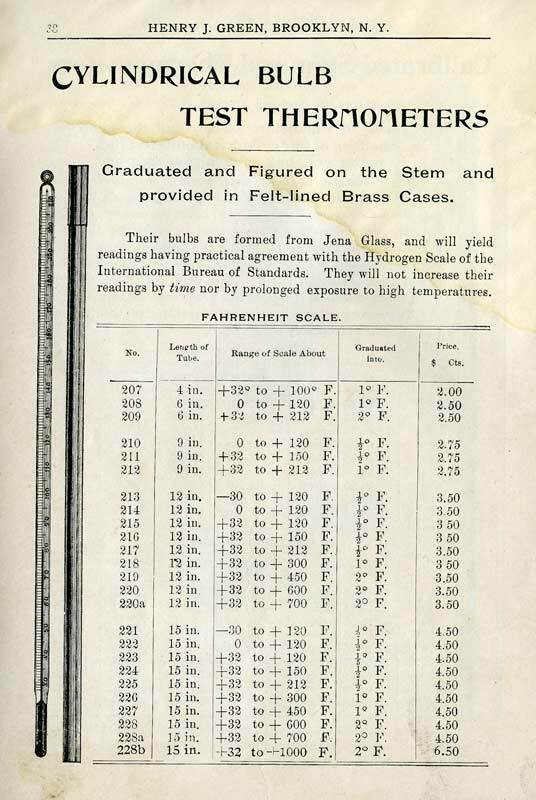 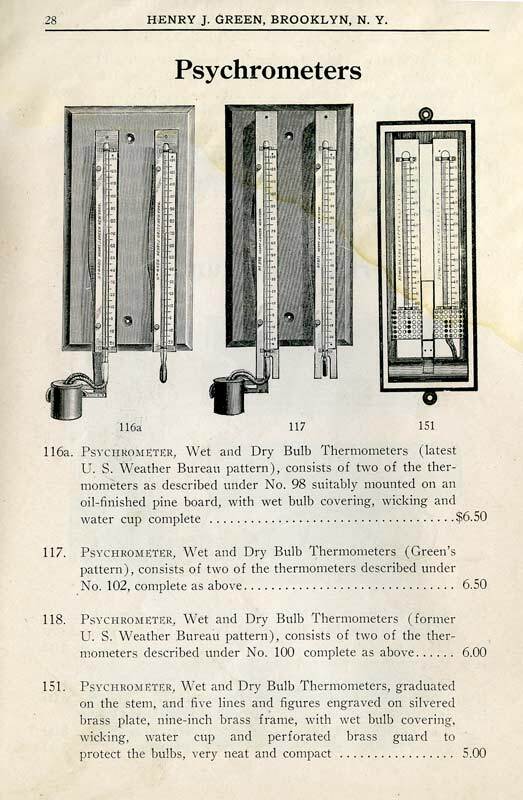 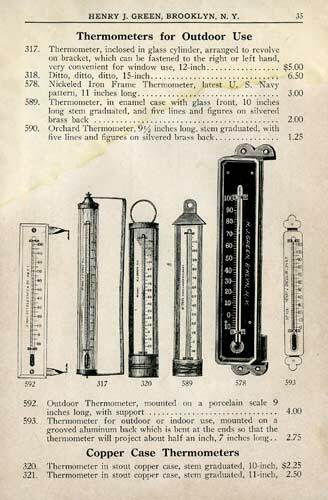 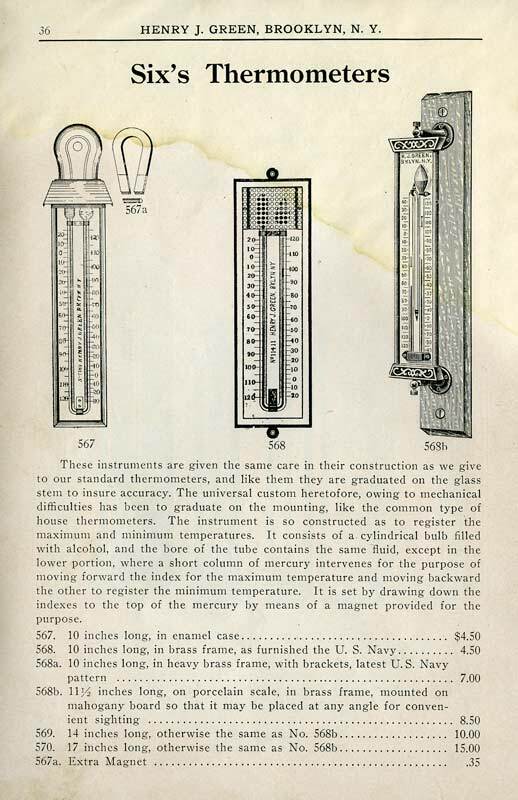 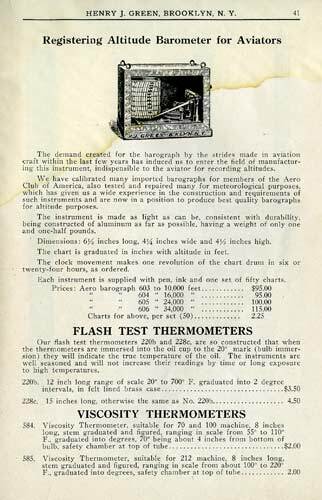 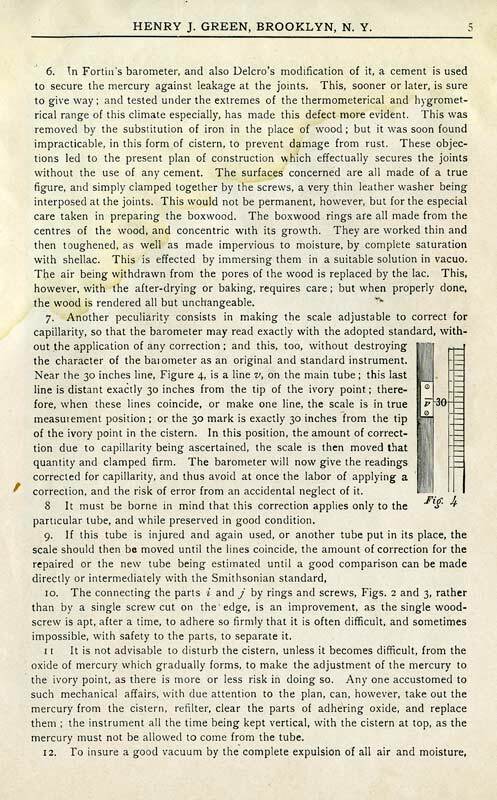 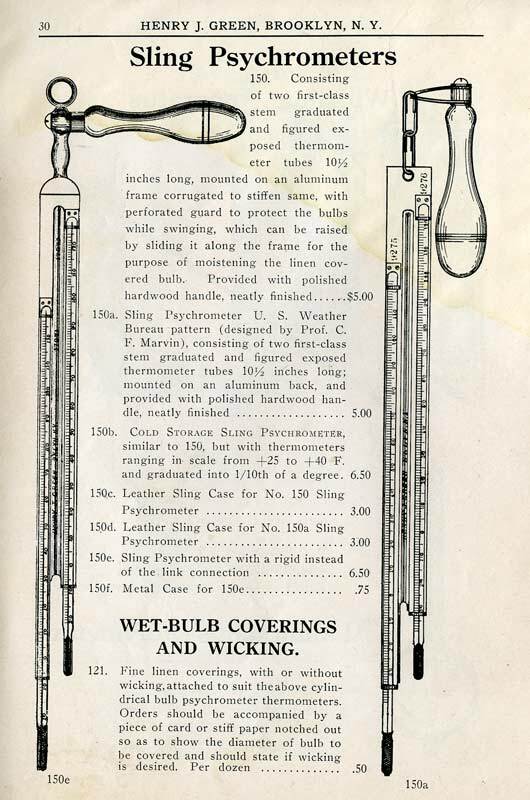 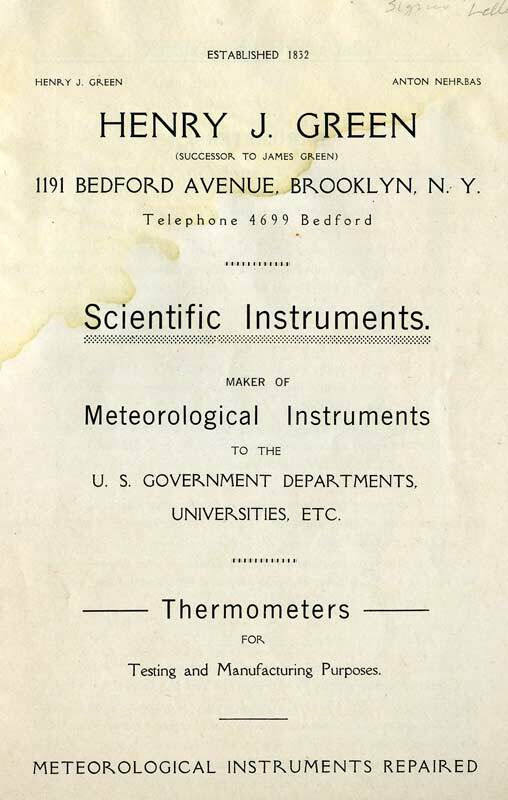 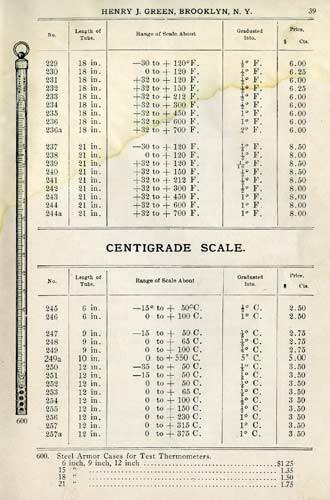 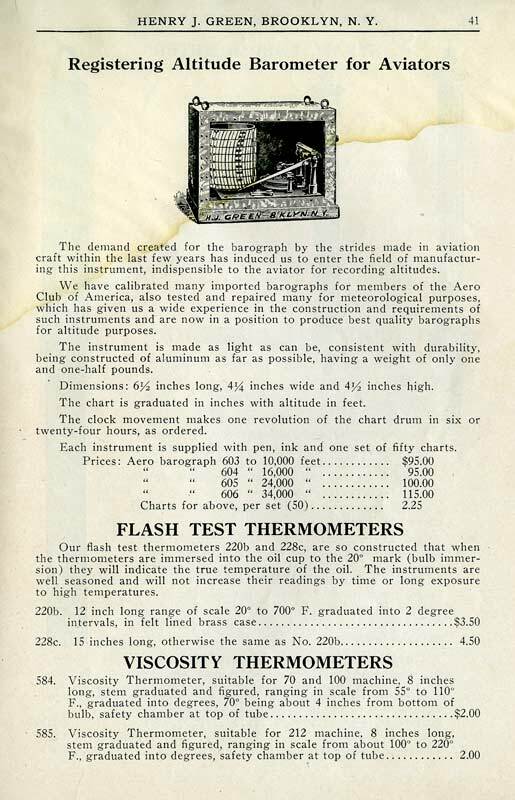 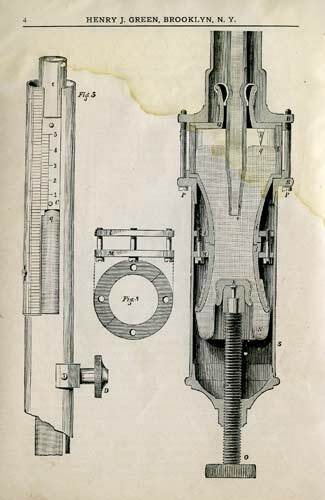 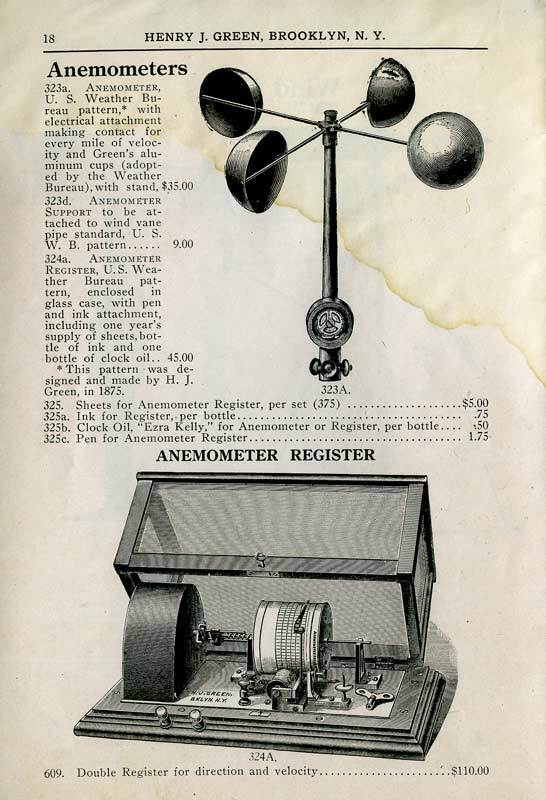 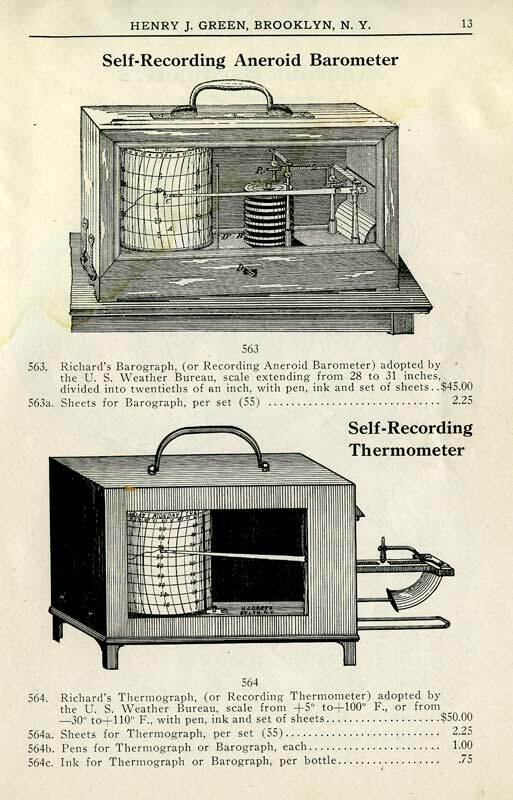 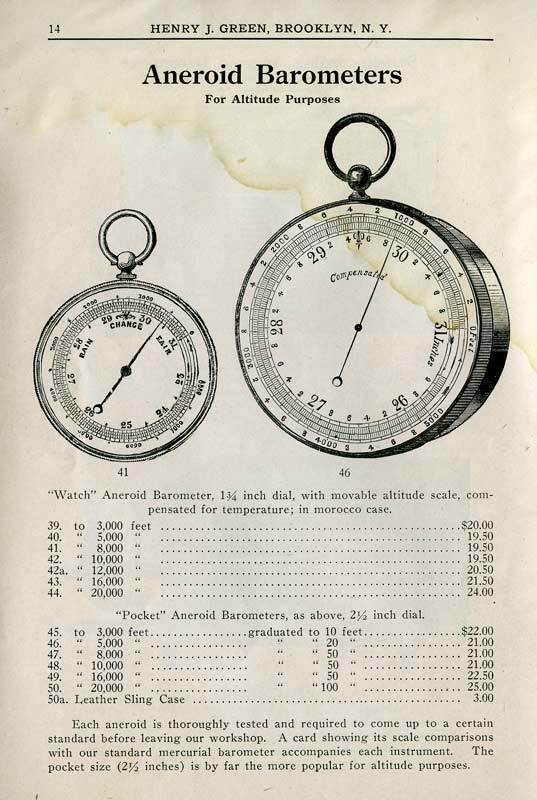 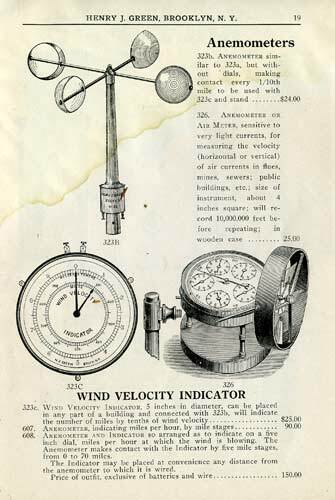 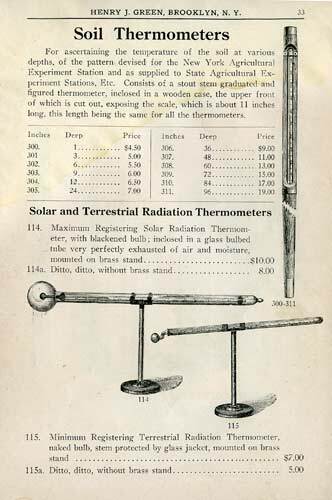 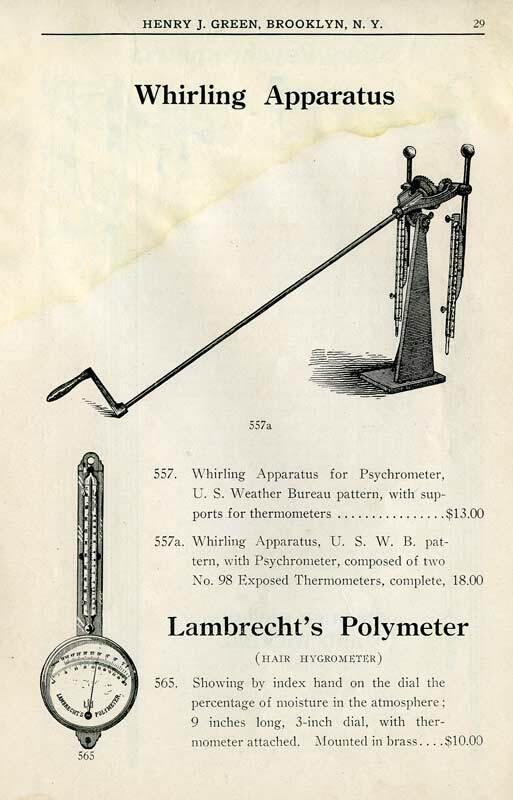 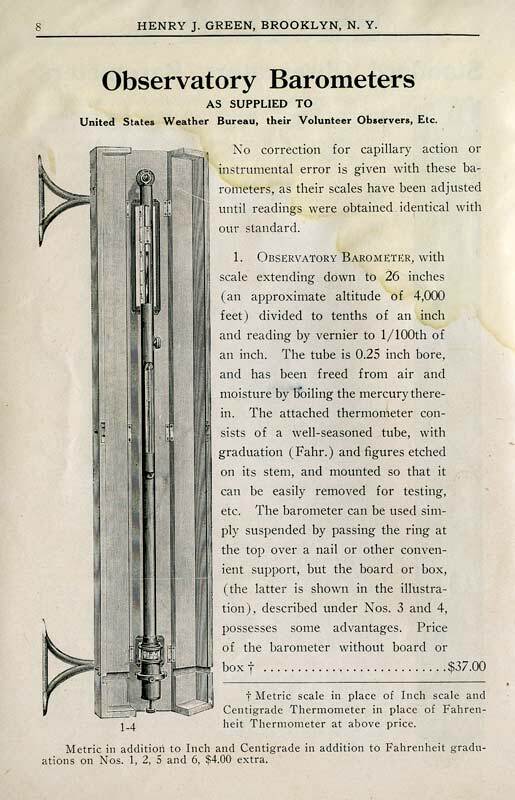 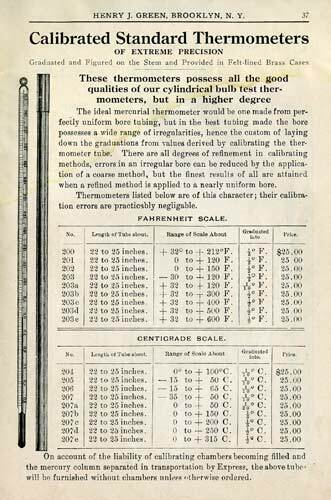 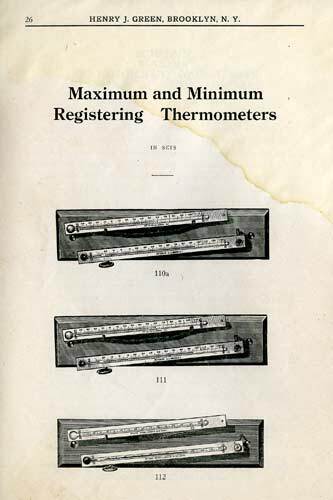 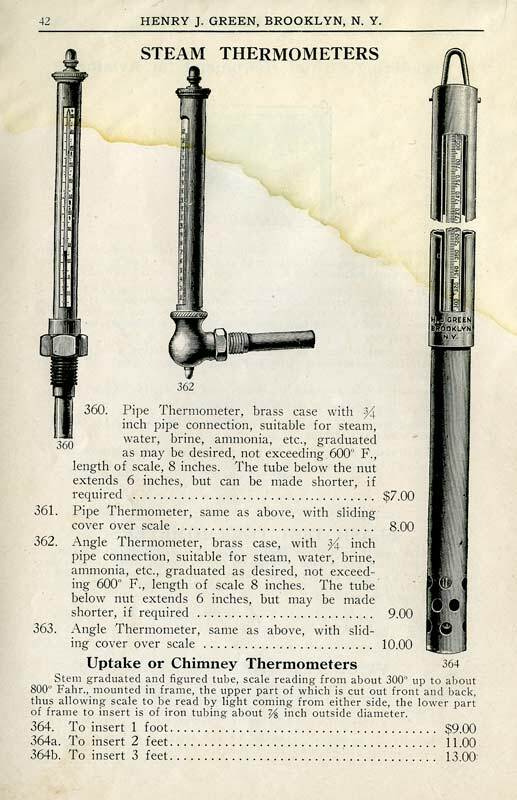 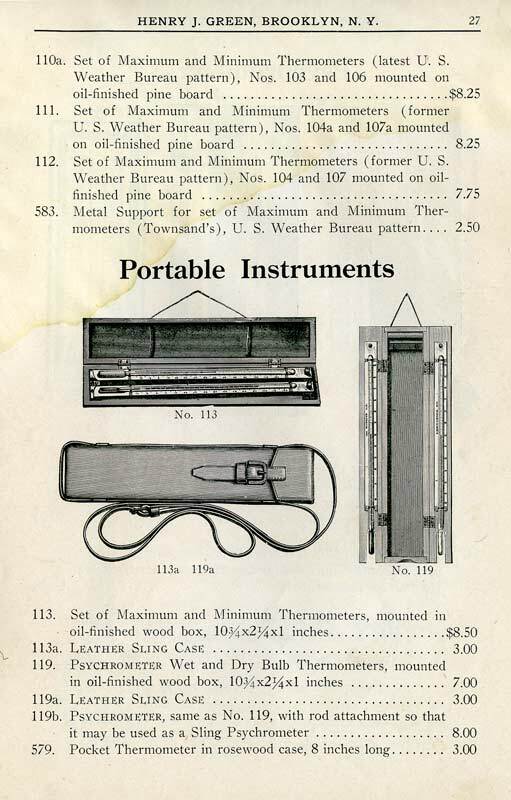 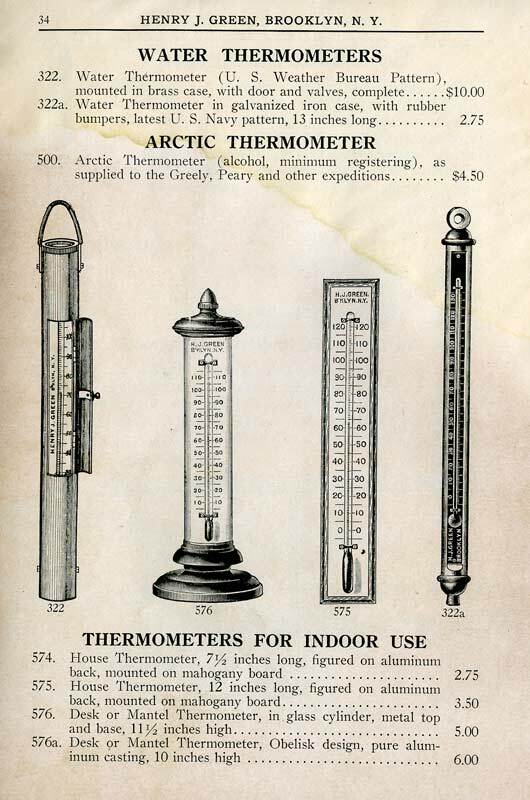 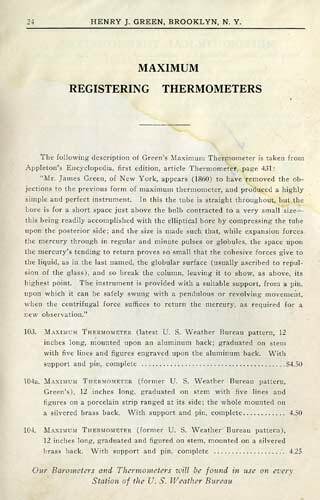 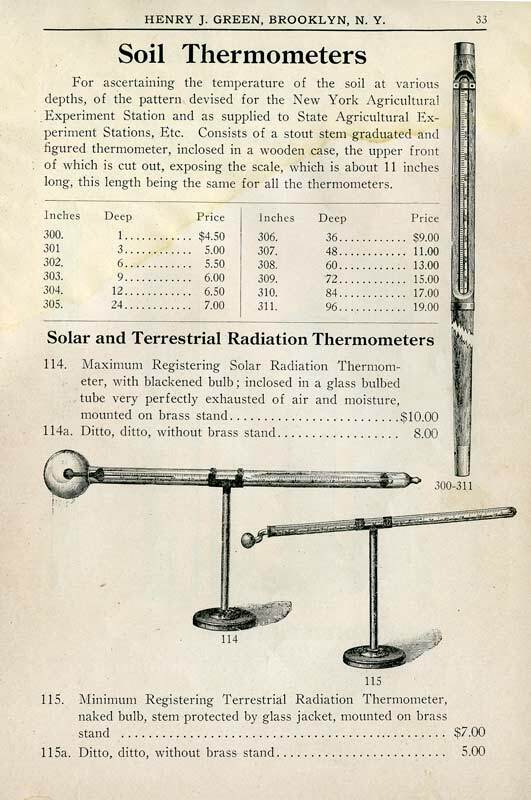 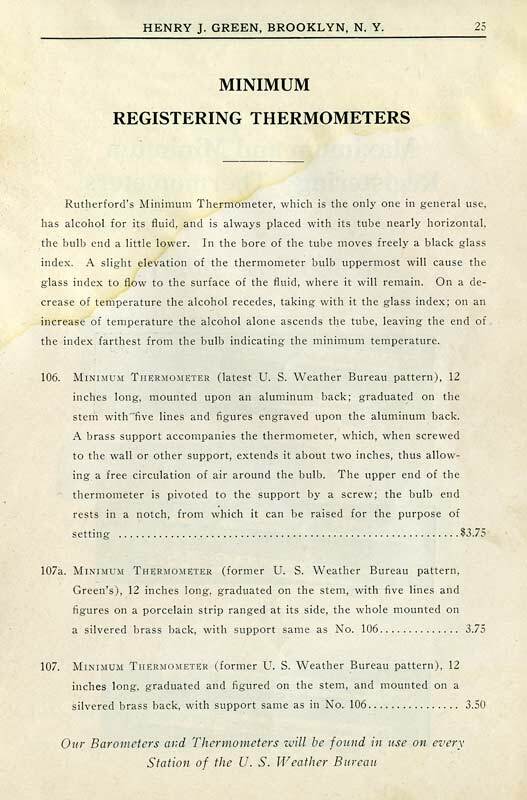 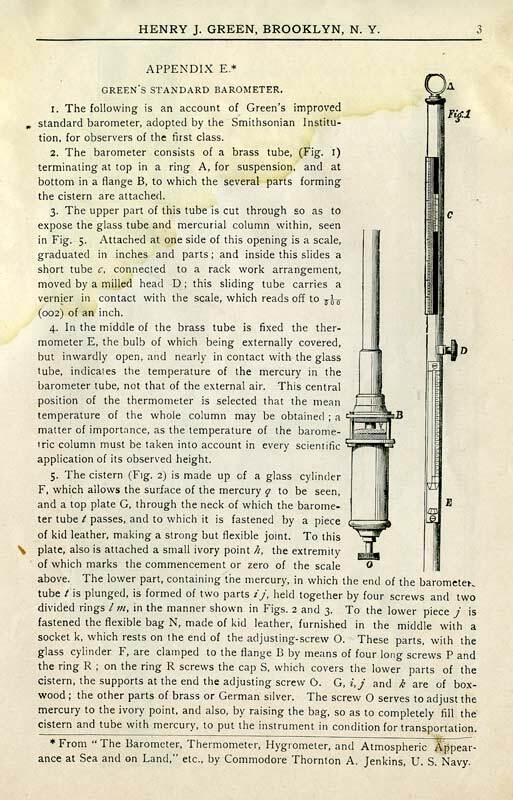 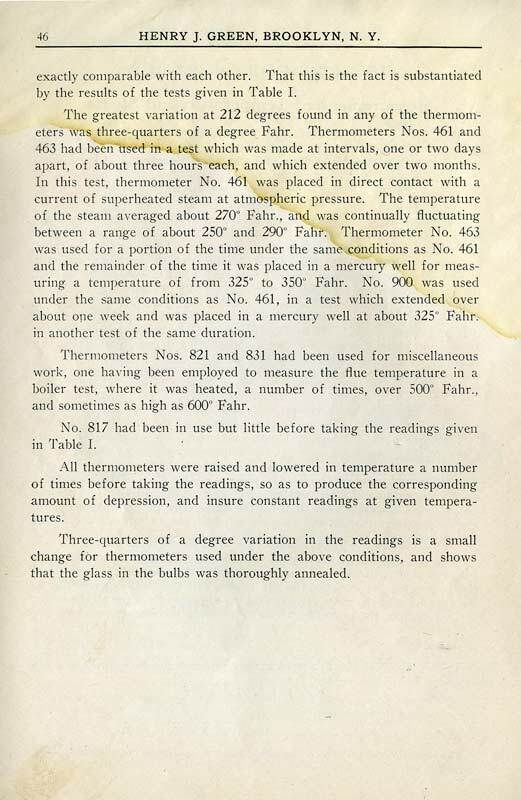 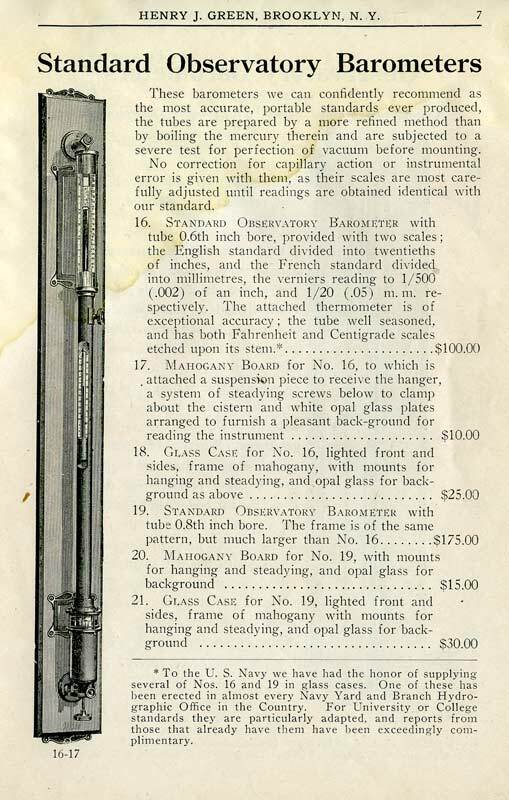 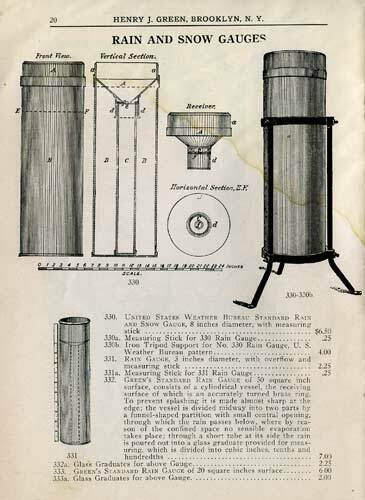 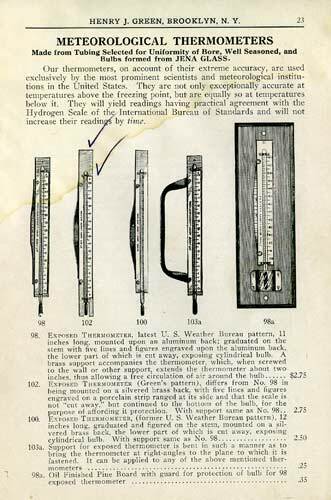 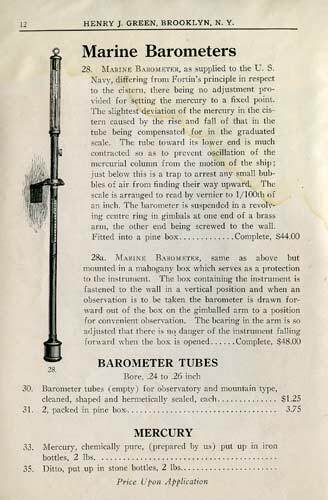 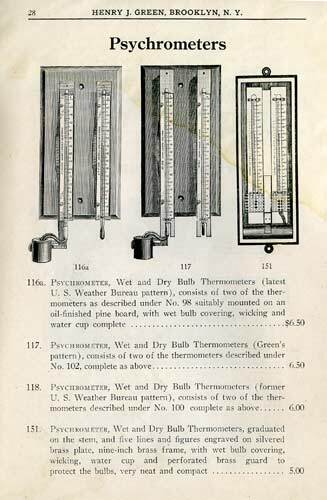 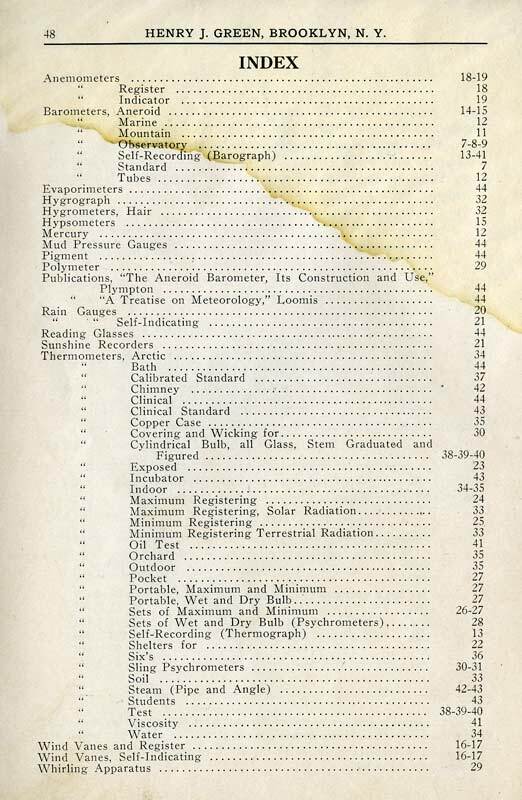 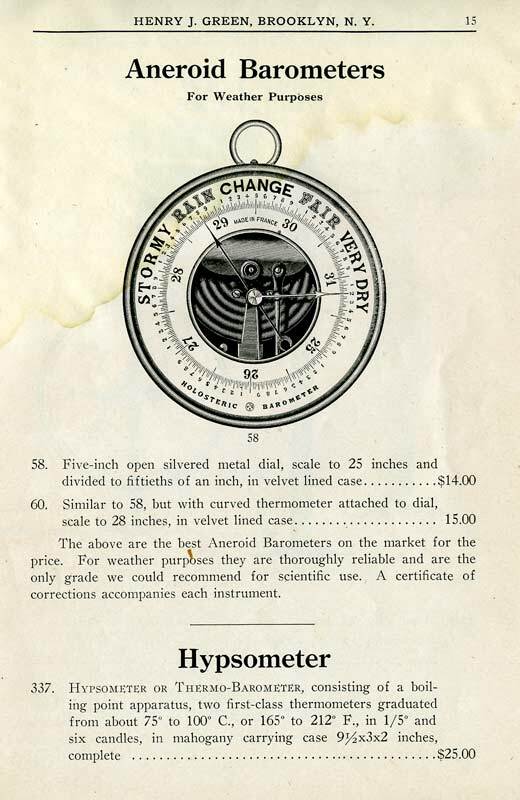 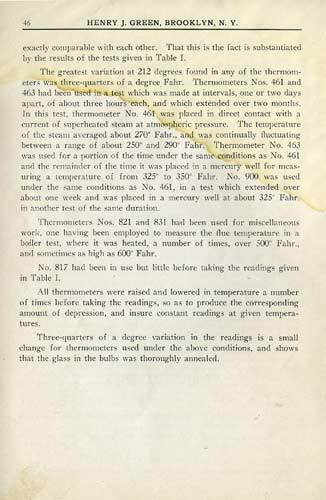 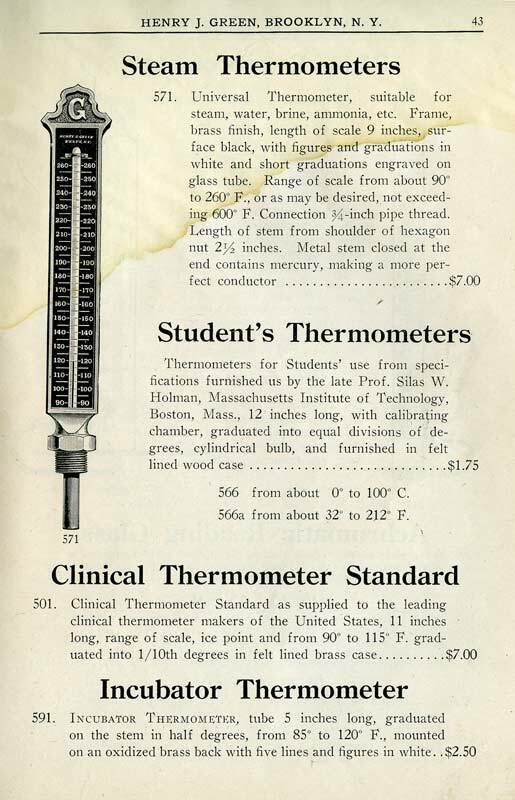 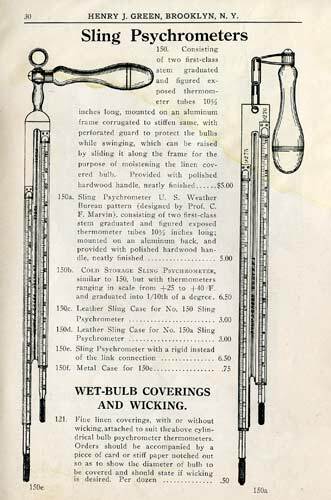 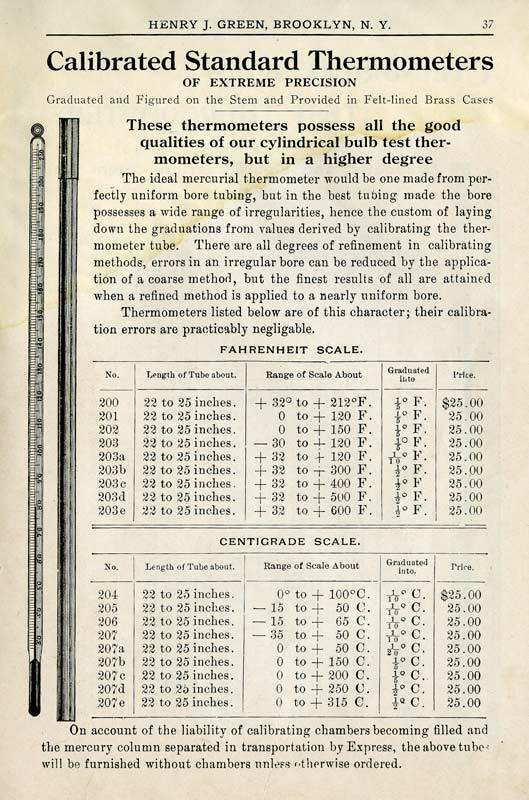 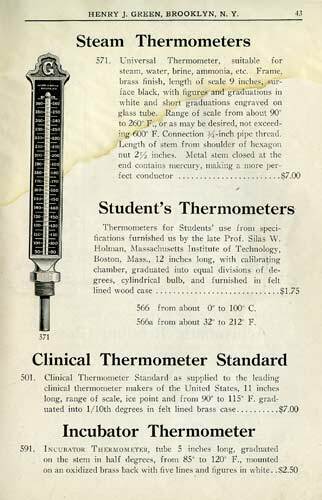 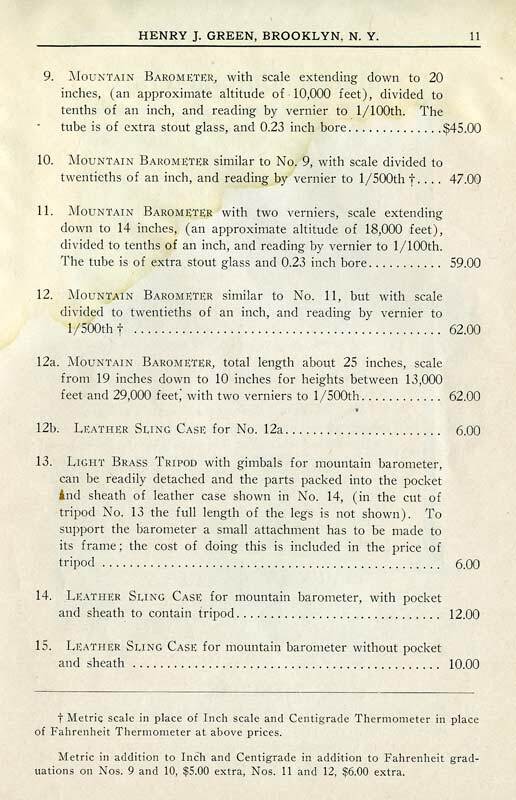 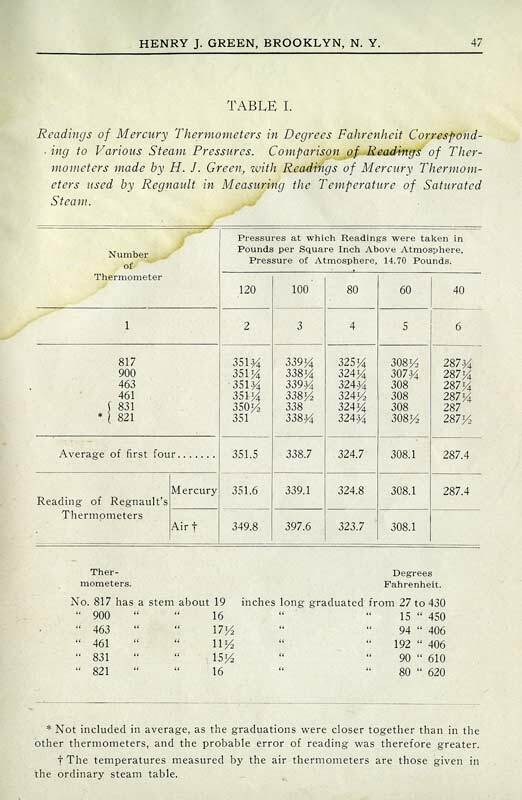 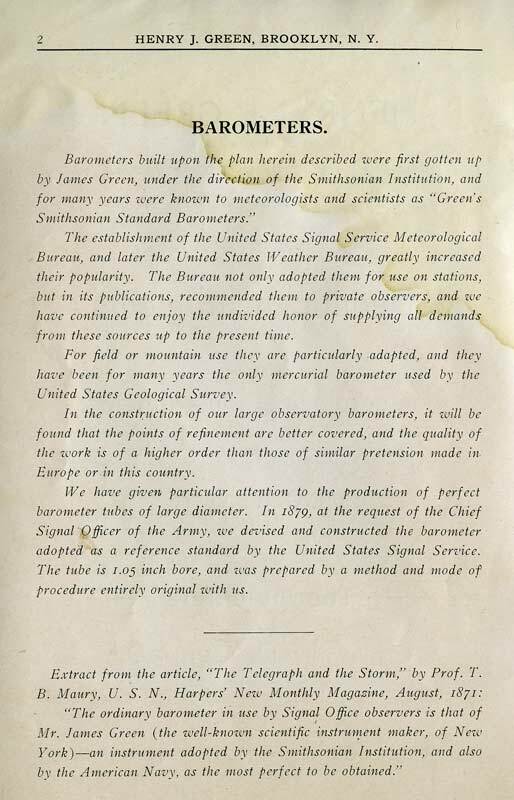 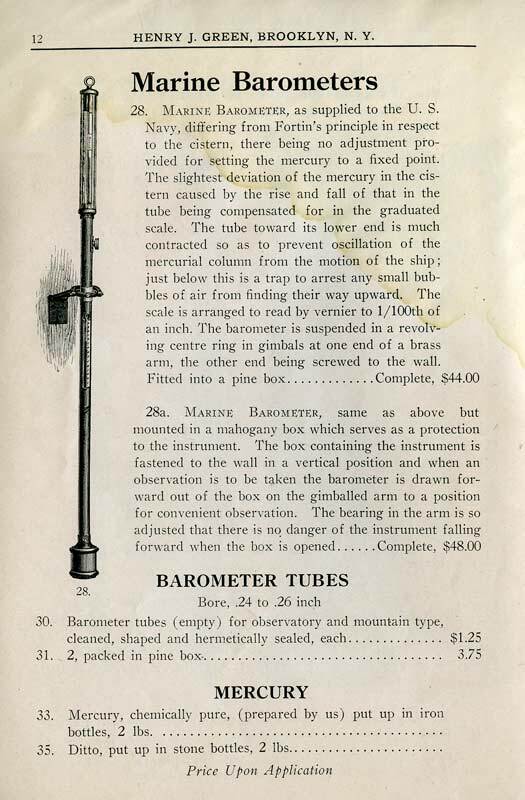 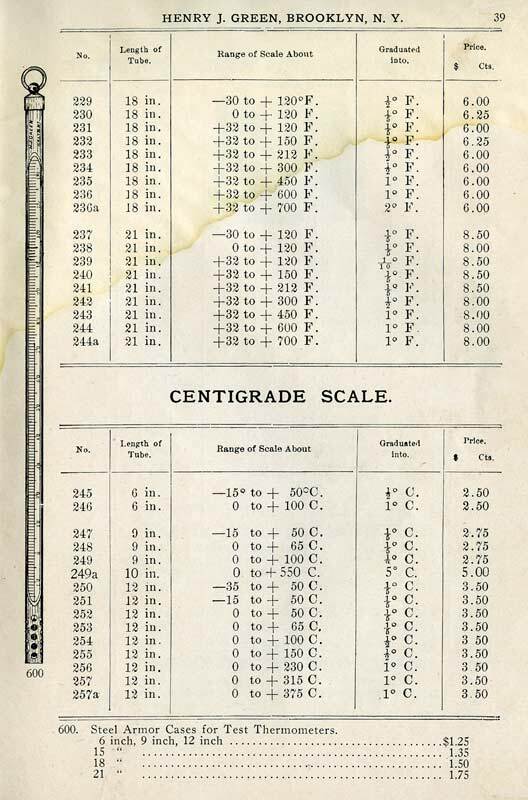 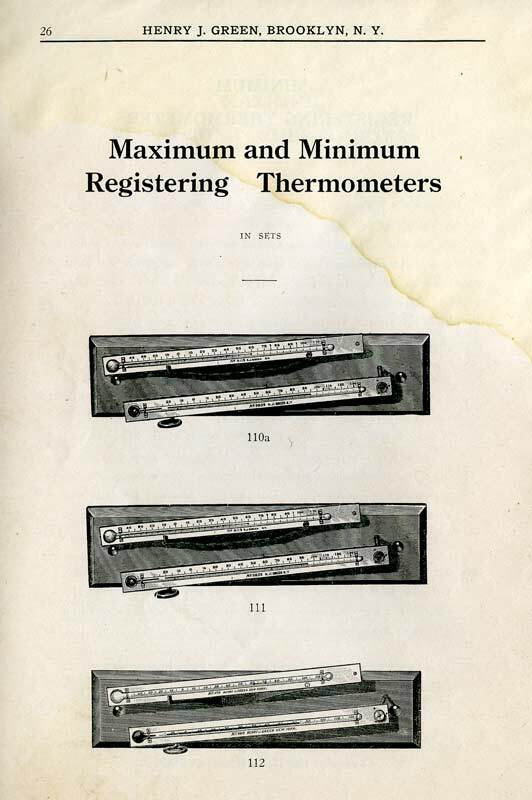 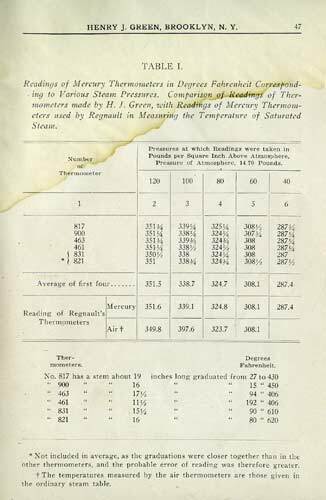 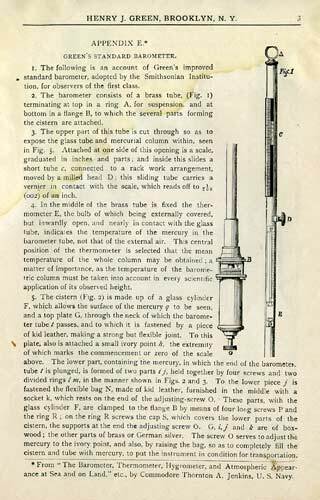 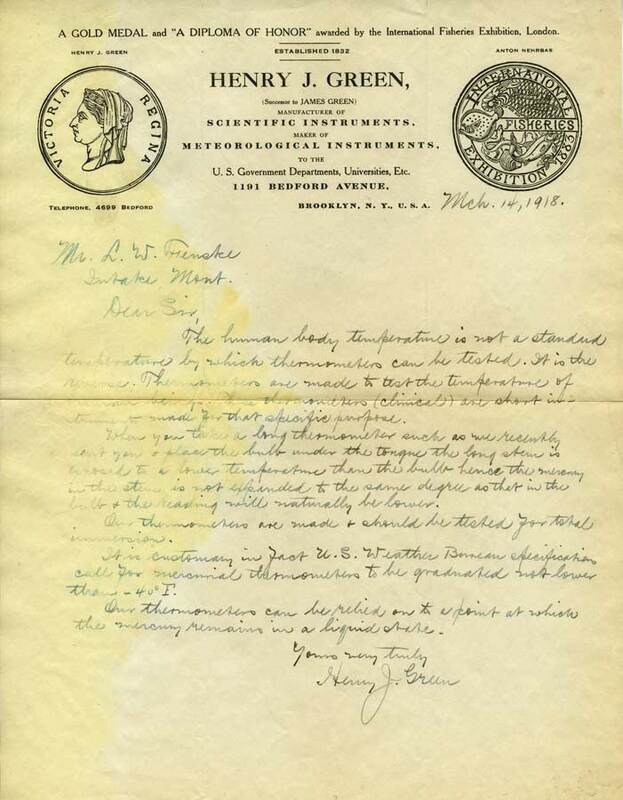 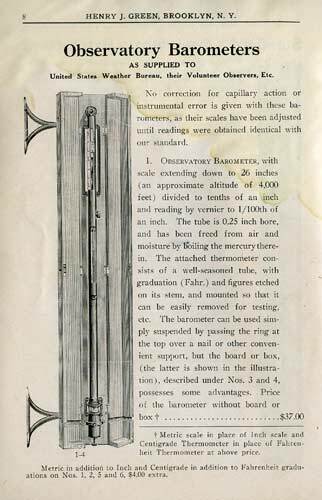 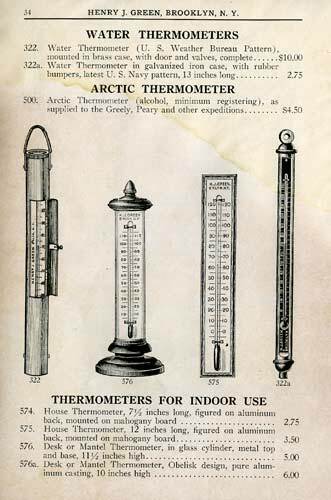 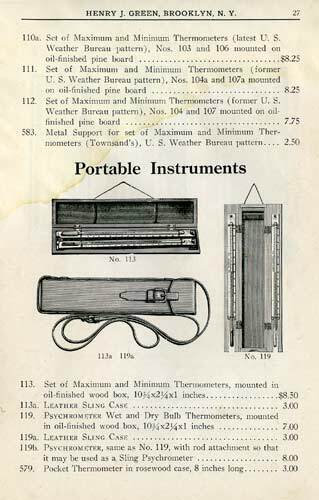 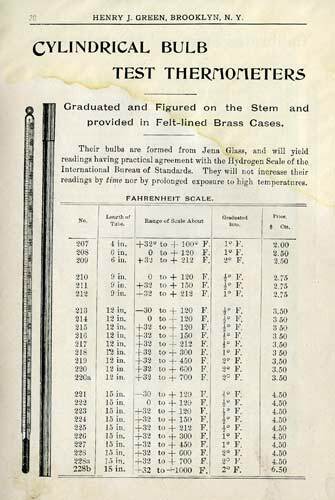 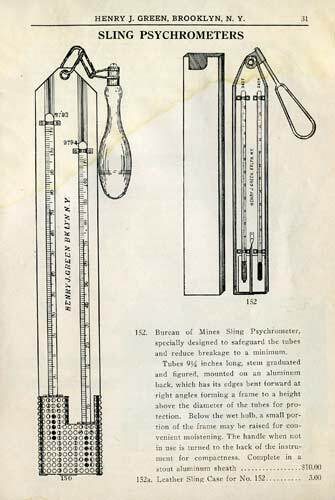 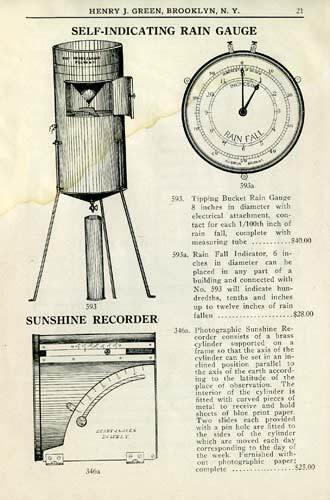 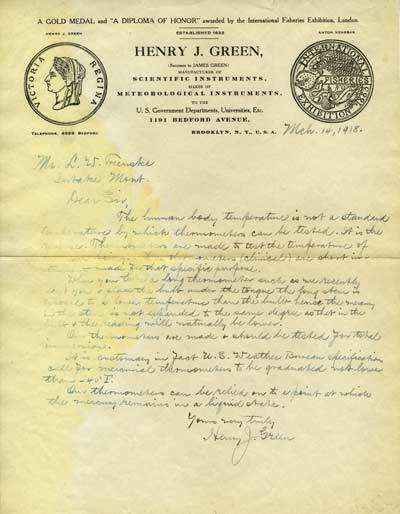 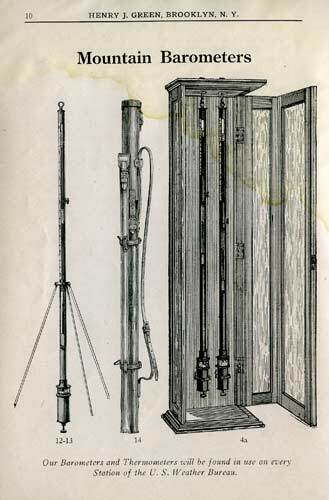 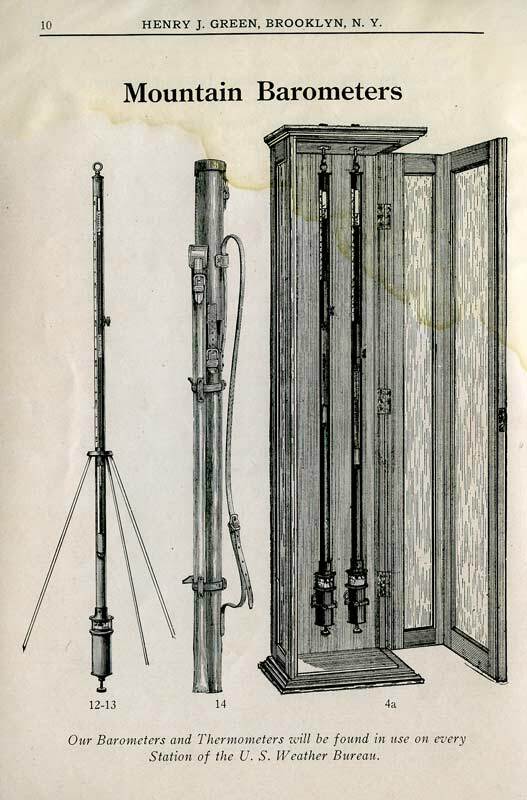 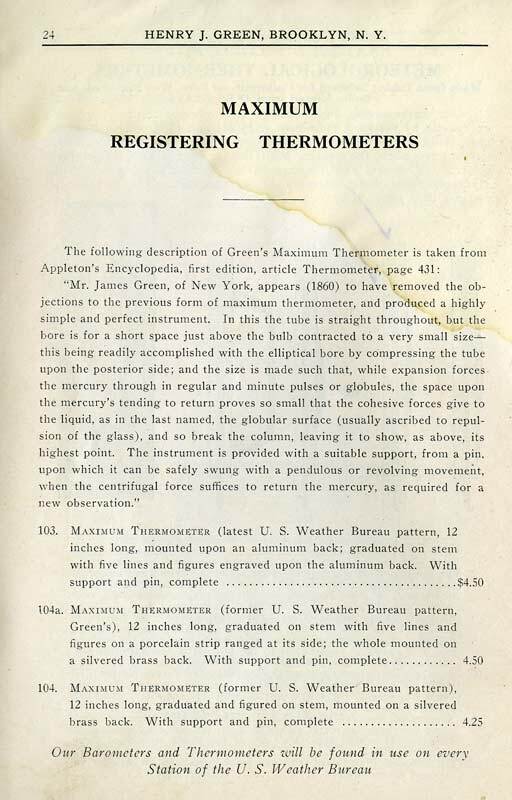 It is safe to say that most of the barometers of scientific interest made in the United States between 1840 and 1940 were made by this company."